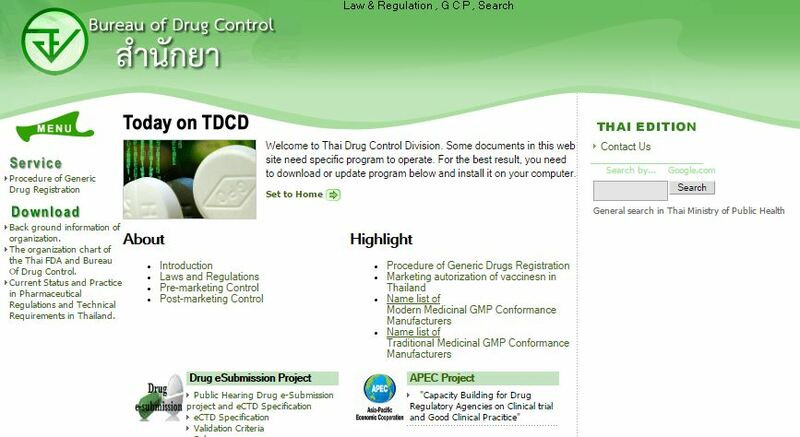 Apr 13, 2014 – Thailand has its own drug registration format and also follows. ASEAN CTD. … Transparency in the regulatory authorities of member countries. The Thai FDA (TFDA), one of several agencies under the Ministry of Public Health (MPH), is the regulatory body administering drugs in Thailand. 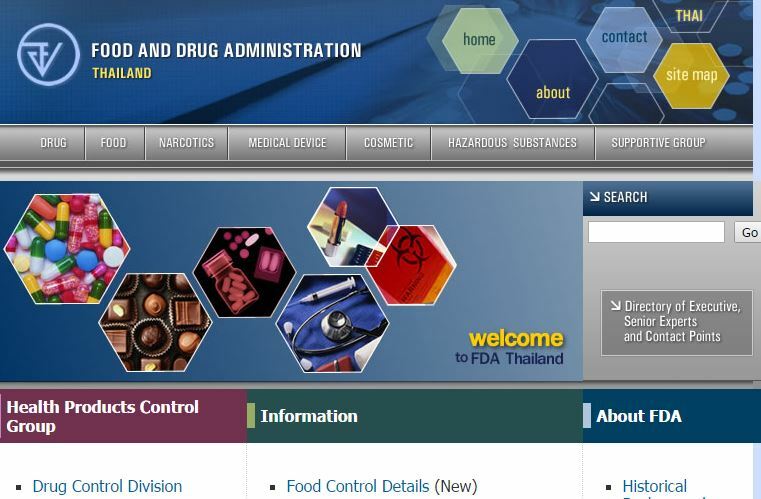 The Drug Control Division of the TFDA is responsible for registration, licensing, surveillance, inspection and adverse event monitoring for all pharmaceuticals and pharmaceutical companies in Thailand. Foreign pharma companies dominate the Thai drug market. Due in part to trade negotiations, regional harmonization and positive economic trends, the pharmaceutical market in Thailand is predicted to double by 2022.There are several versions of the Drug Act currently in effect, and the Thai government is working on a revised version with updated regulations. Under the current laws, pharmaceuticals are categorized as either traditional or modern medicines, with different applications and oversight. Modern medicines are subdivided into three categories, each of which has separate registration requirements. Licenses currently do not require renewal. A) Prepare Application to get a eSubmission Identifier for every application issued. A request to the THAI FDA online service should be submitted to obtain an eSubmission identifier which will require following details. The eSubmission Identifier will be issued within 10 days of application. The Applicant must then make an appointment for submission within 30 days. B) Prepare valid application along with validation reports as per country (Thailand) specific requirement with regional eSubmission Identifier provided. The M1 requirements to be kept in consideration while compiling the Submission. 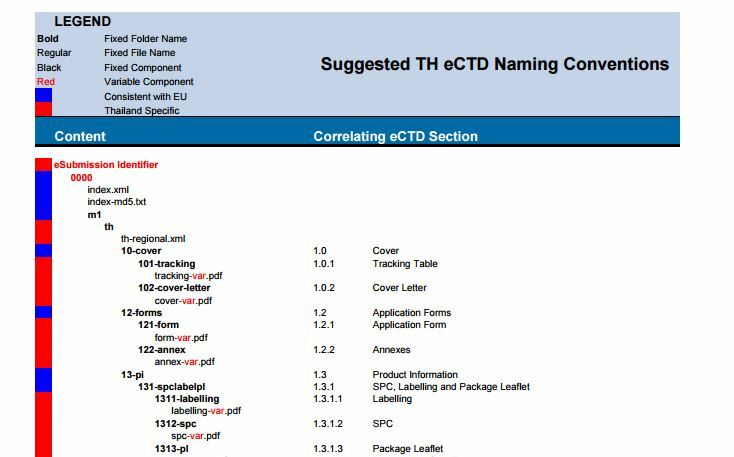 1.3.1 Product Information has been broken down into three specific sections for Labelling, SPC and the Package leaflet. No other product types are expected. If one file is submitted for this section, it should be submitted under 1.3.1.1 Labelling. 1.3.1.3 Package Leaflet has been broken down into language sections for English, Thai and Other languages. It is recommended that separate files should be submitted for each language. Applicants can re-use the content submitted in other regions (including STF). The identifier is a combination of a letter and seven digits. Section 1.5.2 “Information for Generic, ‘Hybrid’ or Bio-similar Applications” has been broken down into three sections and given a section number to make expectations and cross referencing clearer. Only one file should be provided for 1.6 Environmental Risk Assessment. It is not allowed to provide content in both 1.6.1 and 1.6.2. During lifecycle, 1.8.2 Risk management plan should always use the lifecycle operator replace. EMA publishes Q&A on Health Based Exposure Limits – Does the 1/1000 dose criterion come again into play in Cleaning Validation?